Conway Chain of Lakes located in Orlando Florida. And is actually made up of two lakes & four pools of water. The four pools are the East, West Middle and South Pools. Little Lake Conway and Lake Conway have public access with only one public boat ramp. The public boat ramp located off Hoffner Avenue, two blocks east of Orange Avenue (SR 527). While The the Conway Chain of Lakes Shore line of is completely developed. The chain has nearly 1,800 acres of clear water and hard sand bottom. With beds of peppergrass, eelgrass and hydrilla scattered offshore. Largemouth bass fishing is good in every season. Even summer when the bass are often schooling on shad in the open water. Schooling bass also found generally by just watching for surface activity or by watching birds feeding. 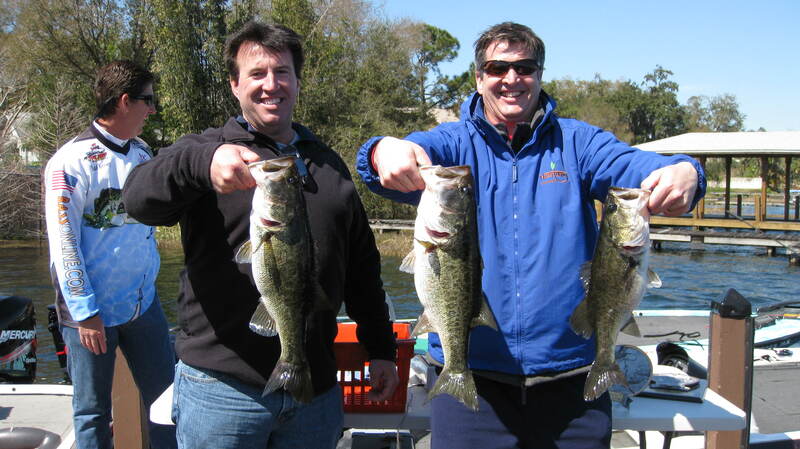 Bass Fishing in Orlando on Lake Conway offers some exciting action for fishing in the Orlando, Central Florida area. Especially in the winter. Summer time bass fishing can be slower, but during the winter time the bass fishing can be explosive. And In the winter the bass start schooling up on schools of Shad and catching 50 plus bass in one trip is not out of the question. Great place to take your children fishing or spouse, The Conway Chain of Lakes are excellent to go on. bass fishing on Lake Conway in the winter is constant and can keep your child excited and busy all day long. Not only is the Conway Chain a great bass fishing lake in Orlando but this lake also produces some excellent Crappie Fishing. No matter if you want to catch bass or crappie.